Her power: Jubilee can shoot sparks out of her hands. Her story: Jubilee never gets any moments to shine in the XMU. Scenes where she gets any kind of spotlight tend to be cut (her walk through the museum in X2, her extended trip to the mall in X-Men: Apocalypse), so her jackets and hoop earrings define most of her character. She has tiny roles in X-Men, X2, and X-Men: The Last Stand as a student at Xavier’s School For Gifted Youngsters, but when her character is reintroduced in X-Men: Apocalypse’s new timeline, she’s gifted with a more prominent part, even though it’s still very small in the larger scheme of the movie. Jubilee is the Xavier School’s ambassador to new students, serving as the narrator for the school’s commercial and a tour guide who shows Nightcrawler around campus. She manages to avoid Col. William Stryker’s attack on the school by going to the mall with Cyclops, Jean Grey, and Nightcrawler, and she decides to stick around with the student body when her three schoolmates team up to save their captured professors, just like a good student ambassador should. Played by: Katrina Florece in X-Men, Kea Wong in X2 and X-Men: The Last Stand, and Lana Condor in X-Men: Apocalypse. Currently, Jubilee is: If not at Xavier’s School, probably at the mall, using her superpowers to get free credits on arcade games. Where will we see her next? 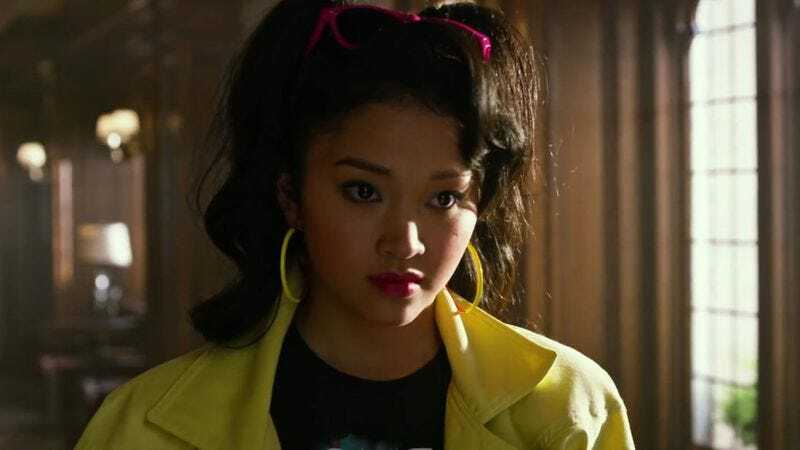 It’s very likely that Jubilee will appear in the planned sequel to X-Men: Apocalypse, which would require a bit of a fashion makeover as it moves into the ’90s.